More than 60 megaships are on order, with Cosco, the world’s fourth biggest player, getting 17 next year and Evergreen 11 by 2019. MSC and CMA CGM, the second and third biggest operators, will get their deliveries starting in the second half of 2019. Cosco said this week it will raise $1.9 billion through a private placement at Shanghai Stock Exchange to finance the new ships. Orient Overseas International Ltd., parent of Hong Kong based container carrier OOCL, posted revenues of $1.45 billion for the third quarter of 2017, up 26.5 percent from the corresponding 2016 period. Orient Overseas International Ltd. (OOIL), parent of Hong Kong-based container carrier Orient Overseas Container Line (OOCL), recorded a 26.5 percent increase in revenues to $1.45 billion for the third quarter of 2017. Total volumes were up 5 percent compared to the same period a year prior, OOIL said in a statement. Loadable capacity increased by 9 percent, with the overall load factor 3 percent lower than the same period in 2016. Additionally, overall average revenue per TEU increased by 20.6 percent compared to the third quarter of last year, said OOIL. OOIL recorded TEU increases in three major trade lanes for the quarter, despite a 7.1 percent increase in Intra-Asia/Australasia capacity. Transpacific volumes increased 14.1 percent to 474,794 TEUs. 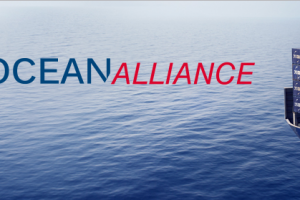 Transatlantic volumes increased 13.6 percent to 110,942 and Asia/Europe saw a 24.7 percent increase to 297,897 TEUs. For the first nine months of 2017, OOIL saw total volumes increase by 6.2 percent and total revenues by 19 percent over the same period last year. Loadable capacity increased by 6.6 percent with the overall load factor 0.3 percent lower than the same period in 2016. Overall average revenue per TEU increased by 12.1 percent compared to the same period last year. Year-to-date volumes also saw increases in three major trade lanes, with a 5.8 percent decrease in Intra-Asia/Australasia. Transpacific volumes increased 19.8 percent to 1.3 million TEUs and Asia/Europe increased 23 percent to 844,402 TEUs. Transatlantic volumes increased 9.9 percent to 320,380 TEUs for the year. While Intra-Asia volumes have declined, cargo in the transpacific trade has rebounded, reaching 30 percent – “a level not seen since 2007,” Jensen wrote. “It is therefore clear, that not only has OOCL managed to gain substantial market share in all the main east-west trades, they are also rapidly reducing their share in Intra-Asia. Looking at past quarters, this development is not a mere fluke in this quarter alone, but is part of a trend,” he concluded. 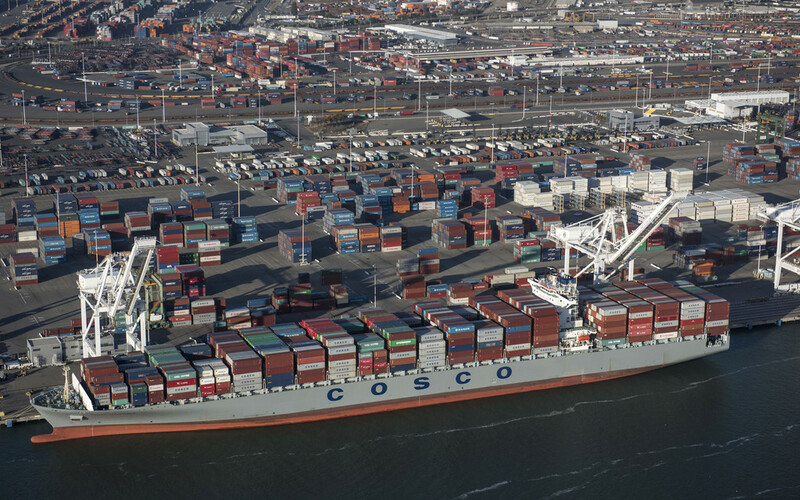 US government regulators have found no antitrust violations with the proposed merger between liner carriers COSCO Shipping and Orient Overseas (International) Ltd., according to a joint statement released on Monday by the two companies. U.S. government regulators have found no antitrust violations with the proposed merger between liner carriers COSCO Shipping and Orient Overseas (International) Ltd., according to a joint statement released on Monday by the two companies. The applicable period for U.S. antitrust regulators to dispute or raise concerns with the proposed merger offer have expired, meaning that this precondition of the merger agreement “has been fulfilled,” the carriers said. With approval reportedly already coming from China’s State-owned Assets Supervision and Administration Commission in early September, the last remaining major antitrust regulator to approve the deal would be the European Union, which has yet to announce its assessment. As reported early last week, COSCO Shipping’s shareholders approved the $6.3 billion offer to acquire OOIL, the Hong Kong-based parent of ocean carrier Orient Overseas Container Line (OOCL). Under the terms of the deal, which was announced July 9, COSCO Shipping will own 90.1 percent of OOIL, while Shanghai International Port Group will hold the remaining 9.9 percent. COSCO and SIPG are paying $78.67 Hong Kong ($10.07 USD) per share in cash for all outstanding OOIL stock. With OOCL’s fleet, COSCO Shipping Lines, a subsidiary of COSCO Shipping Holdings, would control a containership fleet of more than 400 vessels with capacity of over 2.9 million TEUs including orderbook, the companies said. According to ocean carrier schedule and capacity database BlueWater Reporting, COSCO and OOCL are currently the fourth and seventh largest container carriers worldwide, respectively, in terms of operating fleet capacity. COSCO Shipping has said that it hopes to close the deal by the end of the year. Throughput growth was held back by a mere 0.9 percent rise in inbound traffic at the Northwest Seaport Alliance ports – Seattle and Tacoma – and a 0.6 percent dip at Oakland, according to data compiled by the Pacific Merchant Shipping Association (PMSA). The five major container-handling seaports on the U.S. West Coast – Los Angeles, Long Beach, Oakland, Tacoma and Seattle – collectively moved 55,808 more inbound TEUs in August 2017 than they did during the same month in 2016 for a year-over-year gain of 6 percent, according to newly data compiled by the Pacific Merchant Shipping Association (PMSA). However, the data also show that growth was held back by a mere 0.9 percent rise in inbound traffic at the Northwest Seaport Alliance ports – Seattle and Tacoma – as well as a 0.6 percent dip at Oakland, according to the PMSA, which released the data Oct. 20. In the Canadian province of British Columbia, the Vancouver and Prince Rupert seaports combined to post a healthy 9.5 percent gain of plus-16,904 TEUs in August, PMSA data show. Meanwhile, on the Pacific Coast of Mexico, the Manzanillo and Lazaro Cardenas ports saw a 7.8 percent — 12,145 TEU — increase. 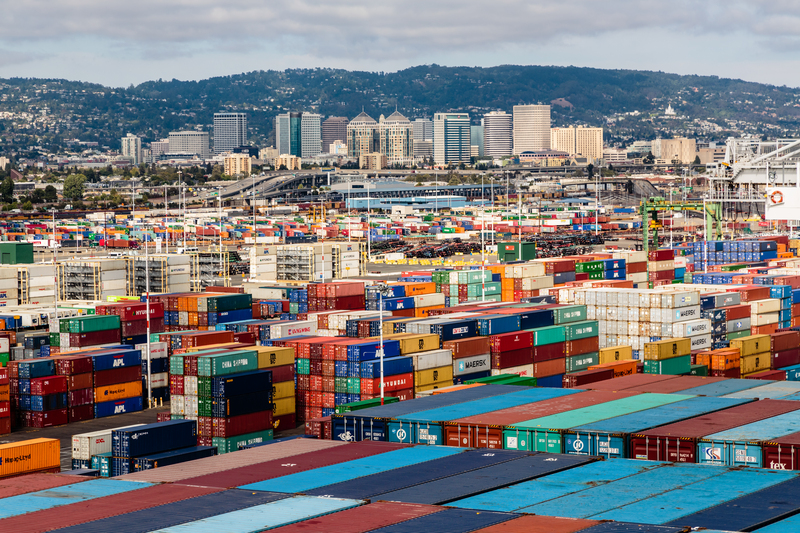 On the export loaded TEU side, the big five US West Coast ports handled 48,092 fewer outbound TEUs this August than they had a year earlier, statistics show, a decline of 10.1 percent. Of the five, only the Port of Los Angeles saw export growth, with its numbers rising four percent, or 6,192 TEUs. The two British Columbia ports saw their outbound trades fall by 7.16 percent, or negative-7,568 TEUs, while the two Mexican ports saw a 1.3 percent (1,151 TEUs) rise in August exports, according to the PMSA. Regarding U.S. Commerce Department value and weight trade statistics, US West Coast ports saw a 1.3 percent increase in containerized import tonnage over August 2016, but saw their share of mainland U.S. containerized import tonnage rise to 40.7 percent for the month, an increase over their 38.7 percent share in July and from their 39.7 percent share in August 2016. 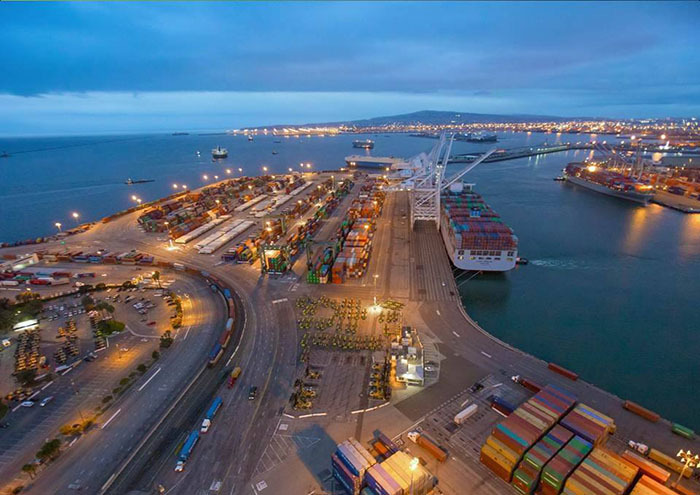 By declared value, West Coast ports held a 50.1 percent share of containerized imports at all US mainland ports in August, up from 49.2 percent in July and slightly up from their 49.6 percent share in August 2016, data show. However, when it comes to declared weight of the containerized exports, US West Coast ports saw a 6.2 percent drop in tonnage from August 2016, according to the PMSA, and their share of containerized export tonnage dropped in August to 39.9 percent, down from a 41.6 percent share in August 2016. By declared value, USWC ports had a 34.3 percent share of containerized exports from mainland ports in August, down from a 35.1 percent share a year ago. Looking at the Transpacific containerized trade, USWC ports’ share of the declared weight of the contents of containerized imports arriving at mainland ports from East Asia rose slightly in August to 59.3 percent, but was still lower than the 60.3 percent share the port held in August 2016, PMSA data show. However, USWC ports’ share of the declared value of containerized imports arriving at mainland ports from East Asia rose to 69 percent in August, up from 68.5 percent in August 2016. The update was developed over the past two years by the neighboring ports of Los Angeles and Long Beach, incorporating input from dozens of meetings with industry, regulatory, community and environmental stakeholders. A proposed update to the San Pedro Bay Ports Clean Air Action Plan will be the subject of a joint meeting between the governing boards of the ports of Long Beach and Los Angeles during a Nov. 2 public meeting. The harbor boards will consider approving the CAAP 2017 Update, which builds upon the ports’ joint 2006 emissions reduction strategy with more approaches to further reduce air emissions. 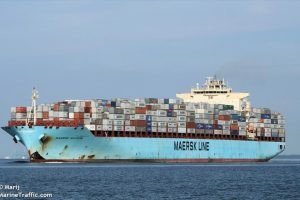 The clean air plan, which was jointly adopted by the ports in 2006, is a raft of programs and initiatives aimed at reducing pollution from ships, drayage trucks, trains, harbor equipment and other sources. Since its implementation, the CAAP has led to significant emissions reductions, even as trade volumes have increased 7 percent at the port complex over the past decade, according to the ports. According to the latest annual inventories, the two ports have eliminated 87 percent of diesel particulate matter, cut nitrogen oxides by 56 percent, reduced sulfur oxides by 97 percent and decreased greenhouse gases more than 18 percent over the past 12 years. 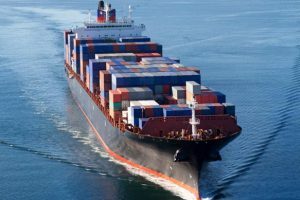 The update aims to reduce emissions from all sources that move cargo, including through the deployment of near-zero emission trucks and cargo-handling equipment and the expansion of programs that reduce ship pollution. The update was developed over the past two years by both ports, incorporating input from dozens of meetings with industry, regulatory, community and environmental stakeholders. The joint meeting of the two harbor commissions is scheduled for 8:30 am Thurs., Nov. 2 at the Crowne Plaza Los Angeles Harbor Hotel, 601 S. Palos Verdes St., San Pedro, 90731. It will also be broadcast live online at polb.com/webcast and portoflosanangeles.org. The ports say the final CAAP document will be available at least a week before the joint board meeting; it will be posted on both ports’ websites, as well as at cleanairactionplan.org.